How can we test if a supermassive black hole lies at the heart of every active galactic nucleus? What are LINERS, BL Lacs, N galaxies, broad-line radio galaxies and radio-quiet quasars and how do they compare? 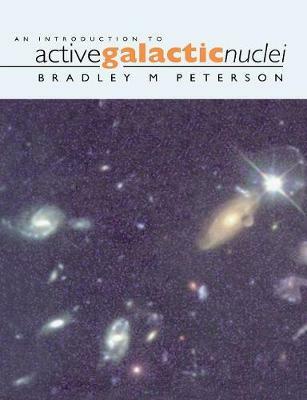 This timely textbook answers these questions in a clear, comprehensive and self-contained introduction to active galactic nuclei - for graduate students in astronomy and physics. The study of AGN is one of the most dynamic areas of contemporary astronomy, involving one fifth of all research astronomers. This textbook provides a systematic review of the observed properties of AGN across the entire electromagnetic spectrum, examines the underlying physics, and shows how the brightest AGN, quasars, can be used to probe the farthest reaches of the Universe. This book serves as both an entry point to the research literature and as a valuable reference for researchers in the field.